Gentle soothing music for relaxation, meditation and blissful sleep. The soft, warm, rhythmic tones of this gentle meditation music are incredibly hypnotic and very soothing. 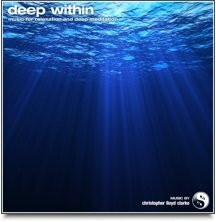 Deep Within has a very calming effect on your nervous system. It helps to prepare the mind and body for deep meditation, and it is also very good at curing insomnia. This recording includes the soothing sound of waves breaking gently onto a sandy beach. The ebb and flow of the waves is underpinned by the gentle pulsing of the sonic mantra, while soft harmonies float dreamily by. Like all Sonic Mantra meditation music, it has been crafted with great care to help guide you into a state of deep meditation, and can be downloaded immediately as a high quality MP3.